We’d love your help. Let us know what’s wrong with this preview of We Are On Our Own by Miriam Katin. In this captivating and elegantly illustrated graphic memoir, Miriam Katin retells the story of her and her mother's escape on foot from the Nazi invasion of Budapest. With her father off fighting for the Hungarian army and the German troops quickly approaching, Katin and her mother are forced to flee to the countryside after faking their deaths. Leaving behind all of their belongings and loved ones, and unable to tell anyone of their whereabouts, they disguise themselves as a Russian servant and illegitimate child, while literally staying a few steps ahead of the German soldiers. We Are on Our Own is a woman's attempt to rebuild her earliest childhood trauma in order to come to an understanding of her lifelong questioning of faith. Katin's faith is shaken as she wonders how God could create and tolerate such a wretched world, a world of fear and hiding, bargaining and theft, betrayal and abuse. The complex and horrific experiences on the run are difficult for a child to understand, and as a child, Katin saw them with the simple longing, sadness, and curiosity she felt when her dog ran away or a stranger made her mother cry. Katin's ensuing lifelong struggle with faith is depicted throughout the book in beautiful full-color sequences. To ask other readers questions about We Are On Our Own, please sign up. Hungary 1944, a young girl and her mother struggle to find freedom from the hands of both the Nazis and Soviets. I would be afraid to write a graphic novel set during the Holocaust since one of the most successful graphic novels of all time, the Maus series has done is so brilliantly. I am thrilled that Miriam Katin did not share my fear. She has produced a beautiful, touching and important work in We Are On Our Own. The scope is much smaller than that of Maus which is perhaps why it can happily coexist with Spiegelman's work neither threatening nor competing with it. The plot is of a young mother whose hus I would be afraid to write a graphic novel set during the Holocaust since one of the most successful graphic novels of all time, the Maus series has done is so brilliantly. The plot is of a young mother whose husband is away at war (fighting for the Hungarian army) when she must decide whether to flee her home and life in Budapest. It is a carefully rendered and delicate depiction of why so many struggle with faith, both those who endure(d) atrocities and those who have family/friends who did. It does not beat you over the head with anything but perhaps the beautiful drawings soften the blow, and you certainly follow them through harrowing ordeals, but the most palpable, the most touching are the interactions between the mother and her daughter- both the memories of their flight and also their conversations years later in the United States, 30 years after the war. Oh, por favor. Cómo puedes dar las gracias a un cielo teñido de sangre. This graphic novel, Katin's memoir of being a child in Hungary when first the nazis, and then the Soviets, took control of the area, invites comparisons to Marjane Satrapi's _Persepolis_ books-- I mean, I think they were produced independent of one another, but both deal with a child's perspective of life under a foreign, repressive regime.... or so you'd think. But perhaps because this book is mostly reconstructed from conversations with her mother, the book has little interest in young Miriam's This graphic novel, Katin's memoir of being a child in Hungary when first the nazis, and then the Soviets, took control of the area, invites comparisons to Marjane Satrapi's _Persepolis_ books-- I mean, I think they were produced independent of one another, but both deal with a child's perspective of life under a foreign, repressive regime.... or so you'd think. But perhaps because this book is mostly reconstructed from conversations with her mother, the book has little interest in young Miriam's experiences-- she is a minor character in this book, and most of our interest is focused on the artist's mother as she struggles to find a way to provide for her daughter. This lack of personal investment in the story doesn't necessarily lead to the result, but it does ultimately contribute to the fact that the struggles here are largely external, as the duo are shunted from place to place by troop movements and the need to eat, and the internal struggles are mostly flattened out.... I think this might be interesting as a history lesson, of the kinds of things people as a group were up against (Jews, and to a lesser degree ordinary Hungarians) but I found it kind of dull at telling the story of a particular person, or pair of people. It's history told with paper dolls, much more than it's a satisfying memoir. This is the second book I've read by Katin. I read her follow-up to this book, Letting Go, a couple years ago. That one was a memoir that focused on her as an adult trying to recover the property that was stolen from her family as a Jews in Nazi Germany. This book recounts her family's story during the war when she was still a very young girl - 4 or 5 by the end of the book. Its a tale of courage and hope during an awful time. It was one of the few Jew-in-Nazi-Germany stories I've read that actua This is the second book I've read by Katin. I read her follow-up to this book, Letting Go, a couple years ago. That one was a memoir that focused on her as an adult trying to recover the property that was stolen from her family as a Jews in Nazi Germany. This book recounts her family's story during the war when she was still a very young girl - 4 or 5 by the end of the book. Its a tale of courage and hope during an awful time. It was one of the few Jew-in-Nazi-Germany stories I've read that actually has a happy ending. The blurb states the book "is a woman's attempt to rebuild her earliest childhood trauma in order to come to an understanding of her lifelong questioning of faith. Katin's faith is shaken as she wonders how God could create and tolerate such a wretched world, a world of fear and hiding, bargaining and theft, betrayal and abuse." However, I really don't think there was much focus on her challenge to faith - it was there for sure, but its not directly questioned beyond the obvious 'is God here?' question. This is a pretty straight-forward retelling of an interesting and moving family story. I loved it. The drawings are full of emotion. She shares her unique story without holding back. Although she is a funny woman and sees humour easily where many don't, and although she says she likes to make people laugh, just because "things are funny", there is not much humour here. That's ok. The black and white drawings are deliberate. Photos of the time were in black and white but so were emotions. This is a beautiful book, easy to read and reread, no hankie required but bring your heart. Let’s get this out of the way: inevitably, the comparison is drawn to Maus, Art Spiegelman’s graphic novel about his parents’ experience in the Holocaust and the ensuing familial dynamics. 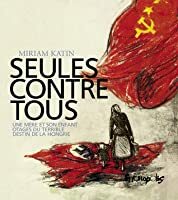 There is room in memoir, literature, and narrative for multiple works about the Holocaust; Katin’s We Are On Our Own occupies a unique niche. They are both distinct pieces of art, and overlap in only the most general manner. 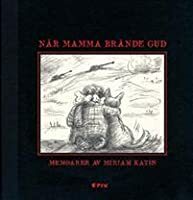 Katin’s storytelling is spare: 115 pages of illustration contain fewer than five pages Let’s get this out of the way: inevitably, the comparison is drawn to Maus, Art Spiegelman’s graphic novel about his parents’ experience in the Holocaust and the ensuing familial dynamics. 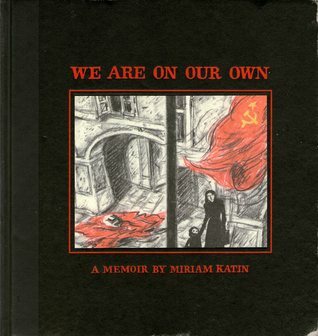 There is room in memoir, literature, and narrative for multiple works about the Holocaust; Katin’s We Are On Our Own occupies a unique niche. They are both distinct pieces of art, and overlap in only the most general manner. Katin’s storytelling is spare: 115 pages of illustration contain fewer than five pages of text. Minimal verbal provisions are given to guide the reader through the experience. Where Maus is a post-modern novel, We Are On Our Own is minimalist poetry. Illustrations portraying the present-day are in color, while recollections are in black and white. The artistry is vibrant and expressive, far more impressionist than I was expecting. It is a testament to Katin’s talent and vision that the nuance and power of her mother’s experience (and her own) can be conveyed so effectively. Katin’s father is at war, Miriam – in her infancy – and her mother escape Budapest, Hungary during the Nazi occupation and rising anti-Semitism. Relying on the kindness of strangers, they make their way (on forged documents and new identities) to a remote farm, exchanging labor for accommodations. Katin successfully portrays the complexity of the war’s effects on civilians, opting to avoid the demonizing and canonizing of different sides. Her neighbor in Budapest embraces a casual anti-Semitism, lamenting the failure of the Nazis’ to eliminate the Jews from Hungary. She alludes to her mothers’ relationship with a Nazi officer, a man who brought candy and finery, in exchange for safety. We, as readers, witness the shift between the Nazi occupiers and coming Russian forces, and the resultant change in attitudes among civilians. Finally, and what is most interesting to me, is how Katin approaches religion during the war and the ‘silence of God.’ Miriam struggles with faith, identifying her father’s atheism as her inheritance. Like other Jews of her age and station, she inhabits the space between Jewish culture and Jewish theology; she acknowledges the capacity for Judaism to lend itself to quiet agnosticism while identifying with its tradition. So, yeah, as a comic book it was just fine/ok, in that scribbly style ala C. Tyler, which is interesting and boring/cheaty/shorthand at once. Also, the language was stilted enough that I checked to see if it was a translation. No such luck. Written in English. We Are On Our Own refers to an atheism borne of the struggles of WWII and it's aftermath, dealing with Nazis and Communists and etc. If all these terrible things happen, there is no god? I guess? But, dude, the book has a happy ending, and t So, yeah, as a comic book it was just fine/ok, in that scribbly style ala C. Tyler, which is interesting and boring/cheaty/shorthand at once. Ay yai yai, I love a sad memoir but when it there's something about a dog, too much. Too much. I had to read this sort of squinting and with my breath held, like when someone's removing a horrible splinter for you. Really a sharp sadness, this story carves. "Maman a brûlé Dieu et puis il s'est réfugié dans une barrique." Mémoire d'une enfance ordinaire d'une fille de famille juive ordinaire de l'époque de la Seconde Guerre mondiale. Le tragique et le comique ne sont jamais vraiment loin l'un de l'autre, tout comme l’épouvantable et le réconfortant. Brilliant graphic memoir by an artist/author who survived the Holocaust as a young child in hiding with her mother. The artistry is moving and cinematic. So well done. We Are On Our Own is not a completely chronological story. We see Miriam as an adult occasionally, with seemingly unimportant tasks and events reminding her about experiences in her past. The bulk of the story, however, takes place in Budapest during the last two years of World War II. She is Jewish, the single child of a deployed soldier father and a mother (Ester) at home. As the situation worsens for the Jews, Miriam flees with her mother and lives a frightful existence as her mother tries to We Are On Our Own is not a completely chronological story. We see Miriam as an adult occasionally, with seemingly unimportant tasks and events reminding her about experiences in her past. The bulk of the story, however, takes place in Budapest during the last two years of World War II. She is Jewish, the single child of a deployed soldier father and a mother (Ester) at home. As the situation worsens for the Jews, Miriam flees with her mother and lives a frightful existence as her mother tries to keep her safe and keep them fed. Some people help willingly, others grudgingly - and their lives depend on their generosity. The pencil drawings are so classy, truly artistic. The "evil" characters seem to be a bit non-distinct - just scary personages, the way a child would remember them. Certain frames are disturbing, as Miriam's mother lives through the unthinkable to protect them - and it's particularly frightening because you know Miriam is nearby, not understanding at all what is happening. My heart aches for Miriam, of course - a child whose faith slowly fades as God seems to have disappeared from the scene. But, also, as a mother - I ached for Ester. To run, terrified, from unimaginable horror and to have to put on a brave face for your small one. To let yourself be taken by the enemy, in order to buy time, and to have to pretend like everything is going to be just fine. I can't imagine the emotional burden, but Katin's drawings certainly help. This lovely book, with its colored-pencil-and-graphite artwork, tells the memories of the young Katin as she lived through the 1944 German invasion of Budapest. 5-year-old Miriam’s father is at the front when the order comes for all Hungarian Jews to be rounded up, so her upper-class mother takes drastic and life-altering steps: She purchases false papers, saying that she is a country cleaning woman, and that Miriam is her illegitimate child. She then fakes her own death and vanishes into the c This lovely book, with its colored-pencil-and-graphite artwork, tells the memories of the young Katin as she lived through the 1944 German invasion of Budapest. 5-year-old Miriam’s father is at the front when the order comes for all Hungarian Jews to be rounded up, so her upper-class mother takes drastic and life-altering steps: She purchases false papers, saying that she is a country cleaning woman, and that Miriam is her illegitimate child. She then fakes her own death and vanishes into the countryside, Miriam in tow. The next year is a grim and dangerous odyssey – always one step ahead of the Nazis, Miriam’s mother tries to make a life for the two of them on the run, making awful bargains along the way (she is forced to become an SS officer’s lover for a time, in exchange for his silence). Mother and daughter seek help from strangers, work on farms in exchange for meager lodgings, and barter their last few belongings to stay alive. And along the way, Miriam suspects that her strong childhood faith in God has been misplaced. At last, the war ends, Miriam’s father reunites with the pair, and the family eventually ends up in New York. But although her parents make their peace with the world, Miriam is left with a lifelong bitterness and a lack of faith. One hopes that the creation of this book is perhaps her way of laying her demons once and for all. This story is about a young girl who’s name is Lisa Levy and her mother Esther Levy. In 1944 World War 2 was happening, and the Jewish had to flee towns to stay save. Lisa and her mother were both Jewish. Her father was in the war and she doesn’t remember him. Through the book they find out that all the Jewish must be reported but instead they leave town. They move town to town avoiding being captured. This book was a very short and quick read, maybe for someone just to read if they have a book This story is about a young girl who’s name is Lisa Levy and her mother Esther Levy. In 1944 World War 2 was happening, and the Jewish had to flee towns to stay save. Lisa and her mother were both Jewish. Her father was in the war and she doesn’t remember him. Through the book they find out that all the Jewish must be reported but instead they leave town. They move town to town avoiding being captured. This book was a very short and quick read, maybe for someone just to read if they have a book for that day. I think it was well written and that the pictures were great. After reading this book it tells the reader and myself how hard life was for the Jewish. I think that others should read this if they don’t understand how hard life would have been during the war for them. One thing I didn’t really like or understand was that I think the book ended to quickly. This was heart-breaking. The story is incredibly sad and depressing. The drawings beautifully match the mood and Miriam Katin manages to capture two different experiences in one novel: the one of the mom who is so desperate to keep herself and her daughter alive and the one of the little girl who is so naive and finds beauty in the little things. I was near tears within the first ten or so pages when the little girl loses her dog. And it just went downhill from there. This is for sure a book I w This was heart-breaking. The story is incredibly sad and depressing. The drawings beautifully match the mood and Miriam Katin manages to capture two different experiences in one novel: the one of the mom who is so desperate to keep herself and her daughter alive and the one of the little girl who is so naive and finds beauty in the little things. I was near tears within the first ten or so pages when the little girl loses her dog. And it just went downhill from there. This is for sure a book I will come back to in the future when I need a reminder of what really matters. 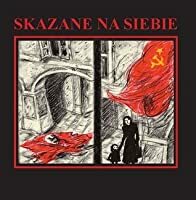 This was a decent and emotional graphic novel of a mother and daughter fleeing the Nazis and then more or less fleeing the Russians after them. The story has been pieced together from her own recollection of when she was a child on the run, but also from conversations and letters. I think she comes to the wrong conclusion about God, but then, I understand her rationale. I really liked the book. The artwork is amazing. Budapest is very well portrayed and through sketches and drawings history comes to life, comes to mean something more. A life. I am amazed each time by survivors' accounts about war. Pencil drawings by Katin, a tribute to her mother's resourcefulness in escaping Budapest during the Holocaust. A simple story in many ways, not the complex, multi-layered tale that Maus is, but the drawings are elegant and the story is inspiring. Powerfully written and beautifully illustrated story of a woman and her young daughter fleeing and surviving Nazi Germany, with all the cruelties and kindnesses they found along the way. A mother and daughter must survive Nazi occupation and find that love is the only thing that can't be defeated. Where did I see this graphic novel for the first time? Was it one of the 1001 fumetti to read before dying? Don't remember. I don't care, since it was a very interesting read. This graphic novel is very pencil-y (matitoso for those of you who speak a little Italian). It's drawn with pencils and colored pencils to show the different moments (Hungary during the war Vs. US decades later) and the different lines show different emotions. The worse the situation is, the thicker, blacker, and more confu Where did I see this graphic novel for the first time? Was it one of the 1001 fumetti to read before dying? Don't remember. I don't care, since it was a very interesting read. This graphic novel is very pencil-y (matitoso for those of you who speak a little Italian). It's drawn with pencils and colored pencils to show the different moments (Hungary during the war Vs. US decades later) and the different lines show different emotions. The worse the situation is, the thicker, blacker, and more confused the lines get. This tells the story of a Jewish mother and her little girl who needs to flee and save themselves. What I really like about the story was the part about religion, which was quite weird for me. But it's not really about religion, it was more questioning religion. The little girl, in fact, starts questioning her faith after what happened to her in the war. The same happens with (view spoiler)[her father, a soldier fighting for the Hungarian army (hide spoiler)]. I really like the end note, when the author herself explains how she wasn't able to raise her children in the Jewish faith. How she really would have liked it, but she couldn't. I found this title on a list of recommended graphic biographies. Miriam Katin's graphic memoir describes her survival during World War II, when she and her Jewish mother had to go into hiding to escape the Nazis. Posing as Christians or gypsies, from Budapest, Hungary, they made their way through the countryside, taking refuge at various sites and with various farm families who were willing to hide them. They were sometimes lucky, and sometimes survived through Miriam's mother's foresight and cl I found this title on a list of recommended graphic biographies. Miriam Katin's graphic memoir describes her survival during World War II, when she and her Jewish mother had to go into hiding to escape the Nazis. Posing as Christians or gypsies, from Budapest, Hungary, they made their way through the countryside, taking refuge at various sites and with various farm families who were willing to hide them. They were sometimes lucky, and sometimes survived through Miriam's mother's foresight and cleverness. I like the illustrations here, which are also done by Miriam. The story starts out in the present, where we see a woman whom we presume is Miriam all grown up with her daughter and other family members. These illustrations are always done in color. When the story switches to the past, during the war, the illustrations become black and white. 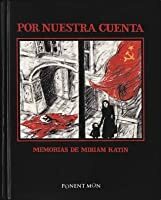 At the end of the book, Miriam writes about what happened to her and her mother after the war. Miriam was six when they went into hiding. Unfortunately, her young experiences, combined, I think, with her parents' reluctance to discuss what happened with her, to help her understand, resulted in her losing her Jewish faith and becoming an atheist. I don't recall reading any other children's or YA book where the Holocaust survivor turns to atheism, so I've got to recommend this one just for its unique perspective. This graphic memoir relates the story of a young mother and her daughter who flee Budapest during WWII. The story opens with mother and daughter reading Genesis in the Torah, discussing how God made lightness in the dark. The question of God's authority arises again and again as mother and daughter travel the countryside looking for shelter and food when safety comes at high costs and often ends abruptly. The black and white narrative of their journey is intermittently interrupted with color pan This graphic memoir relates the story of a young mother and her daughter who flee Budapest during WWII. The story opens with mother and daughter reading Genesis in the Torah, discussing how God made lightness in the dark. The question of God's authority arises again and again as mother and daughter travel the countryside looking for shelter and food when safety comes at high costs and often ends abruptly. The black and white narrative of their journey is intermittently interrupted with color panels of a life in NYC in the future with prosperity and comfort--a life we eventually find out belongs to the daughter. While the ending of the memoir is in many ways happy, the reader is left with the question of faith. Memoir of Jewish Miriam, as a young girl, and her mother on the run in Europe, 1944. It also touches, fairly briefly, on how their experiences shaped Miriam's feelings on faith, God and religion, and gives a nice picture of the various people who helped or ignored the two women during their time on the road. Particularly bizarre was the Nazi officer who fell in love with Miriam's mother and figured that he wouldn't turn them in since the war was nearly over. Overall, the story wasn't the best WWI Memoir of Jewish Miriam, as a young girl, and her mother on the run in Europe, 1944. It also touches, fairly briefly, on how their experiences shaped Miriam's feelings on faith, God and religion, and gives a nice picture of the various people who helped or ignored the two women during their time on the road. Particularly bizarre was the Nazi officer who fell in love with Miriam's mother and figured that he wouldn't turn them in since the war was nearly over. Overall, the story wasn't the best WWII memoir I've ever read (Maus is a tough one to compete with), but Katin's beautifully shaded pencil work is worth the price of the book alone.